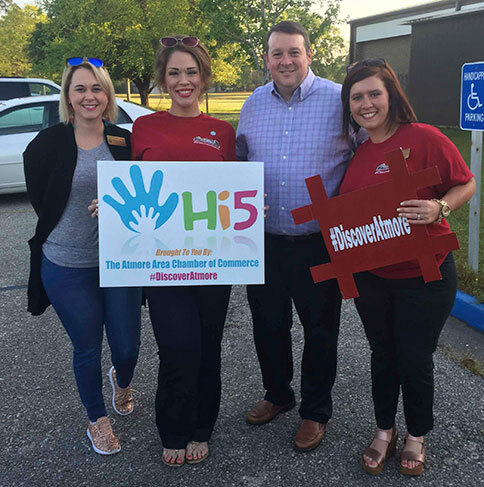 The Atmore Area Chamber of Commerce started a new initiative Friday, April 13 – Hi5 Friday. The Chamber board invited everyone to be at Rachel Patterson Elementary School that morning at 7 to welcome students, staff and teachers. 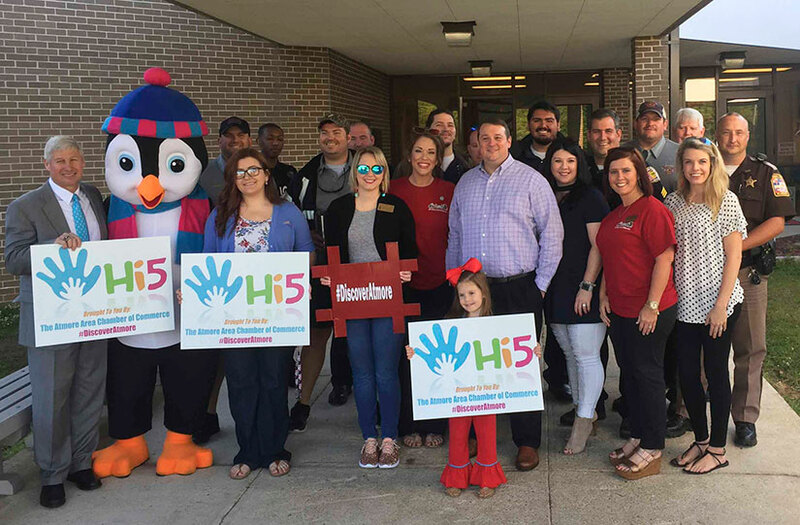 Members of the Atmore Fire Department, Atmore Police Department, Mayor Jim Staff, Alabama Representative Alan Baker were among those joining Harp and Chamber President Brandy Giger and Chamber Vice President Jordan Barnett. Rachel Patterson Principal John Brantley was delighted with the event. This Friday, the Chamber Hi5 Friday “patrol” will be at Huxford Elementary School at 7. 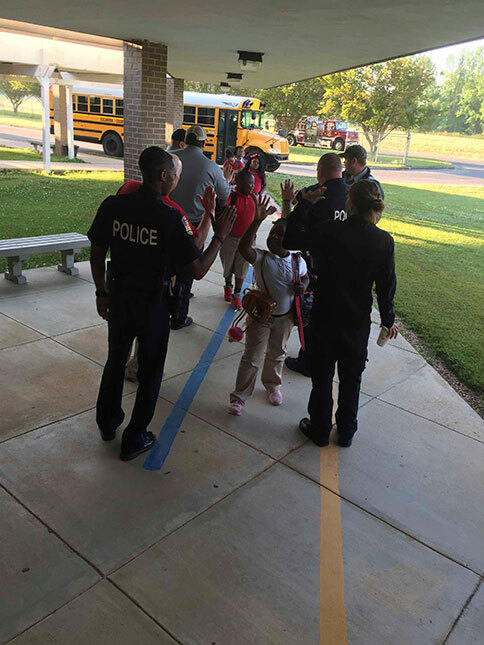 Members of the fire and police departments Hi5 students getting off the bus.